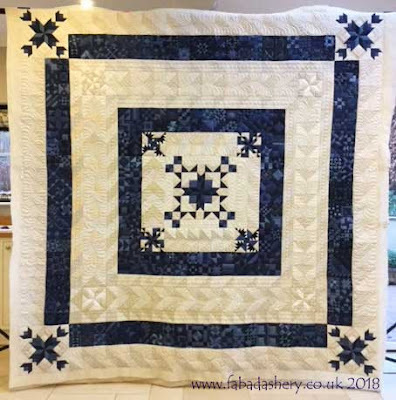 It was about this time last year that I first encountered my first '365 Challenge' quilt made by Val, which eventually ended up on display at the Festival of Quilts in 2017. 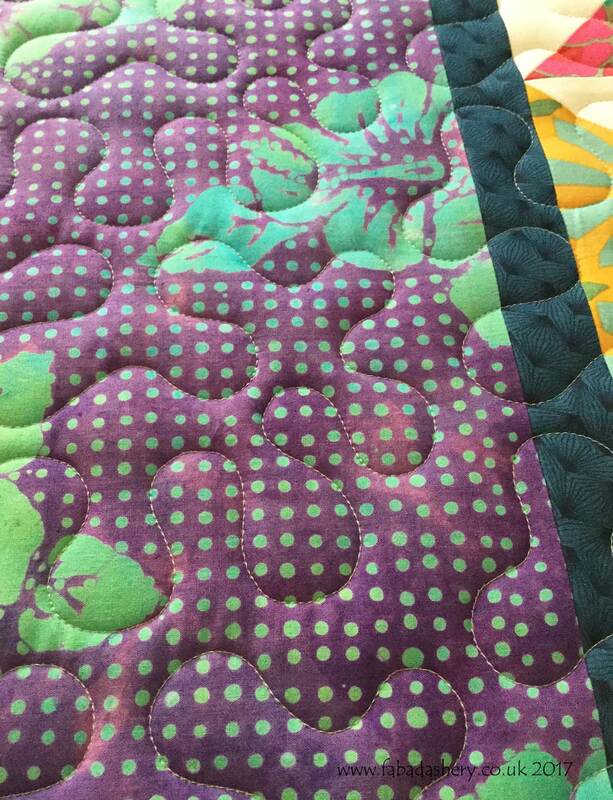 Charlotte had been making her '365 Challenge' quilt alongside Val, but their two quilts have come out very differently and offered the chance for very different quilting. Charlotte had used a lot of neutral colours for her blocks which allowed space for some freehand custom feathers, as well as plenty of stitch in the ditch to bring out the patterns of the little blocks. 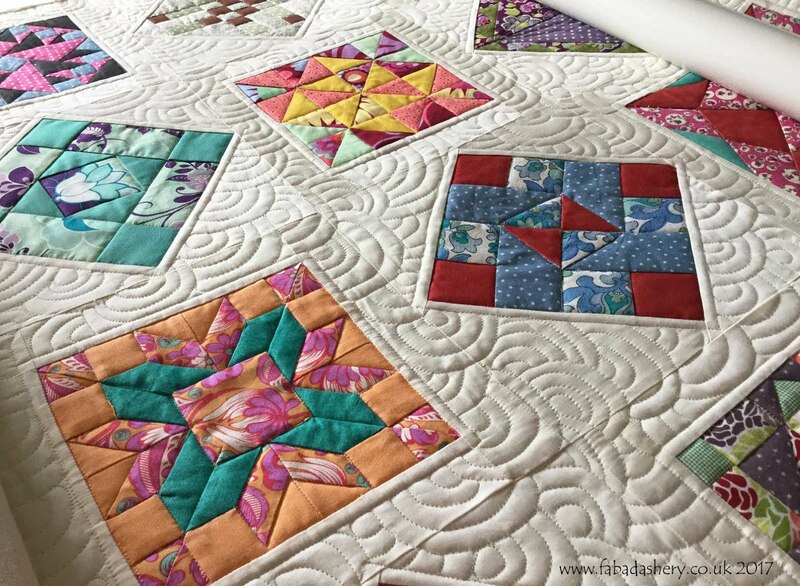 I really enjoyed working on this quilt because of the variety of quilting that it allowed me to do. 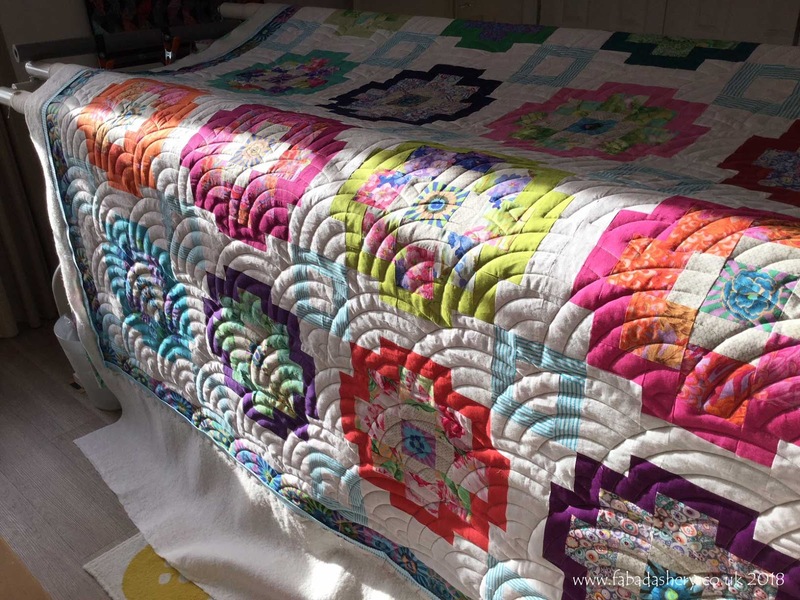 Did you start the '365 Challenge' quilt? 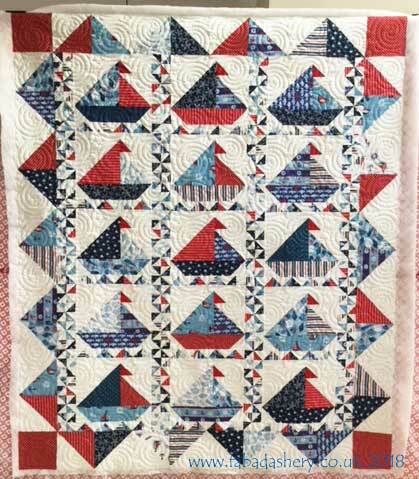 Handmade quilts make great presents and this cheerful red, white and blue sailing boat quilt made by Jan is heading off to one lucky boy! 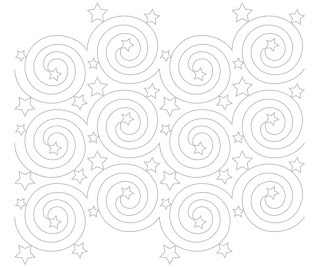 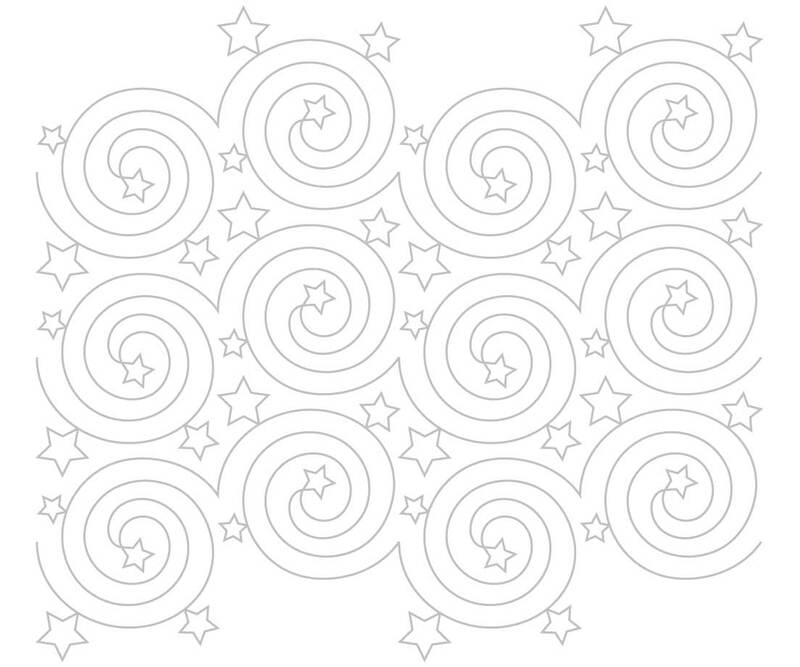 Fabadashery longarm quilting helped out with the quilting using an allover digital pantograph - 'Nightlight', one of my most popular patterns, which has spirals and stars. 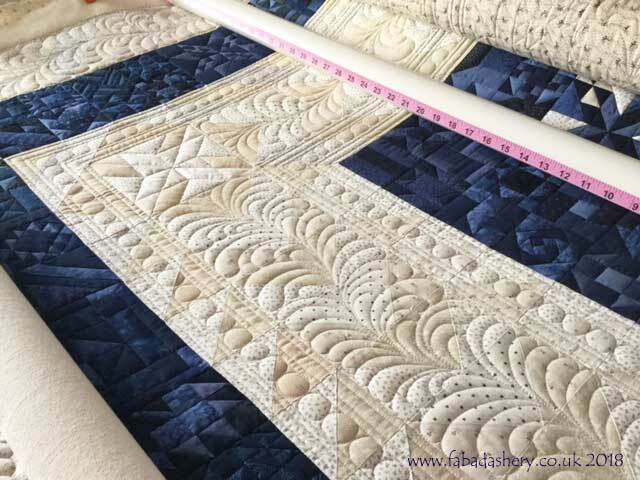 The quilt is 60" x 70", has Hobbs Polydown 100% Polyester wadding and was quilted with a soft grey Bottom Line thread which travelled over the light and dark fabrics nicely. 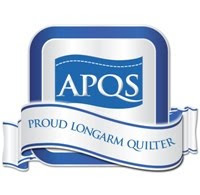 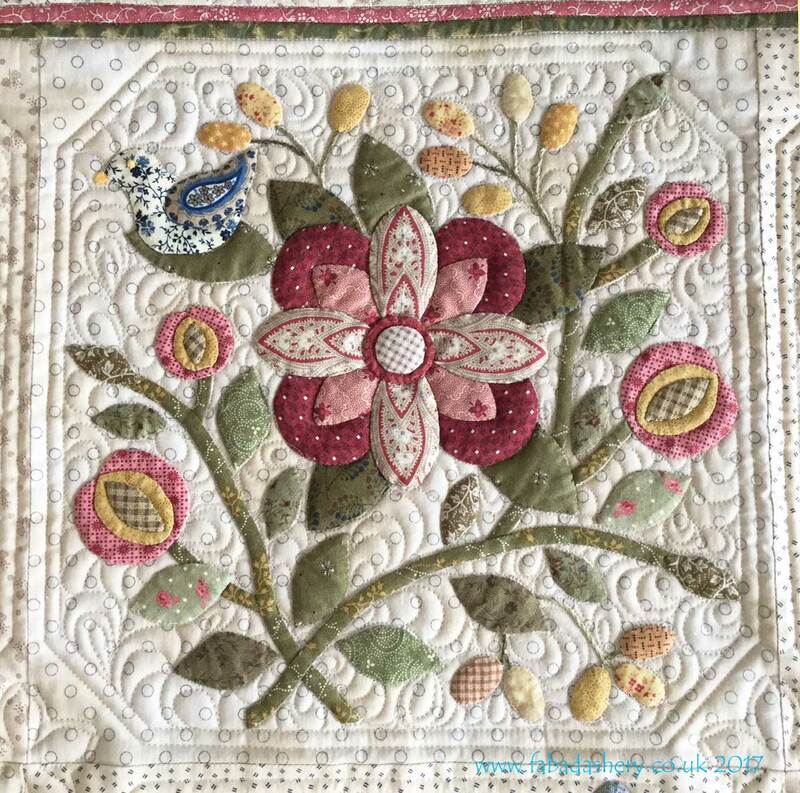 Come and join me and Chepstow WI on Thursday 28th June, where I will be giving a talk about my quilting journey and my path to becoming a professional, award-winning longarm quilter. 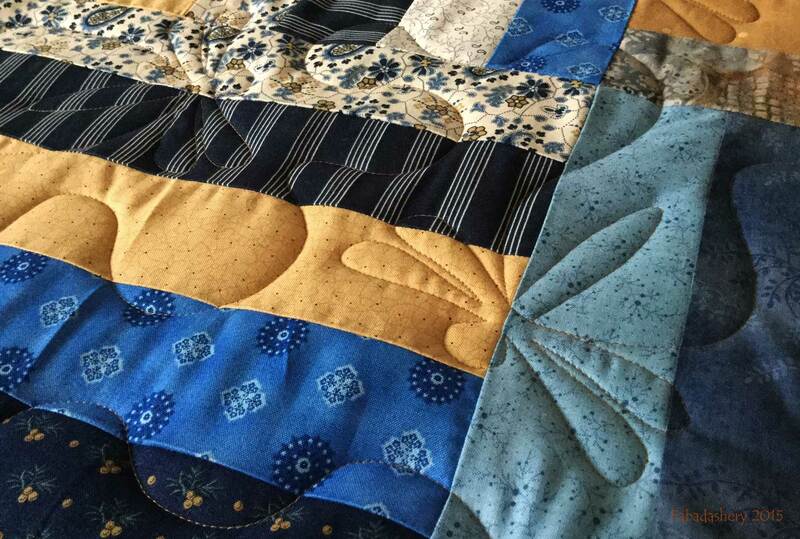 I will be talking about my interest in textiles and my journey to becoming a longarm quilter. 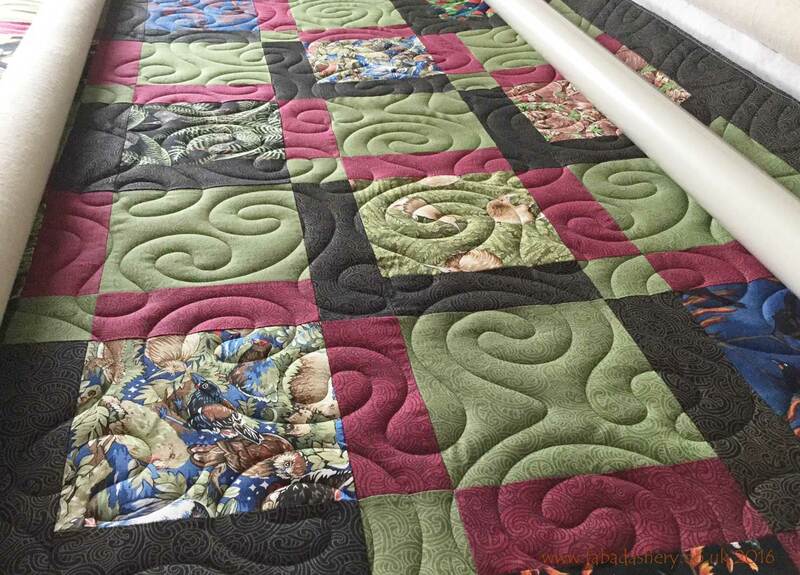 There will lots of quilts to see and I will be explaining what is involved in longarm quilting. 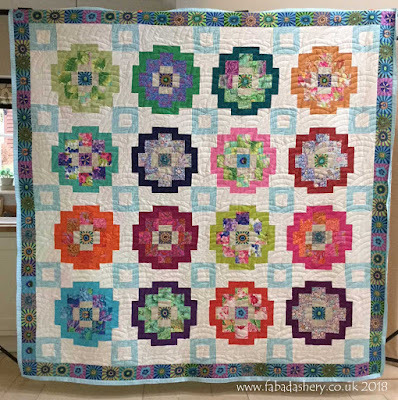 Here is another cheerful Kaffe Fassett inspired quilt made by Margie. 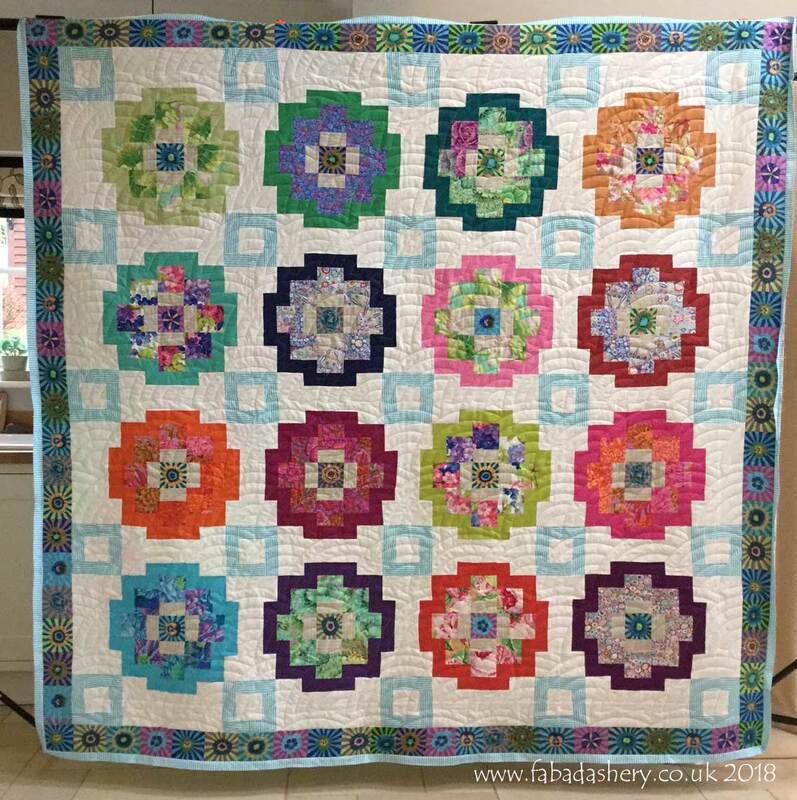 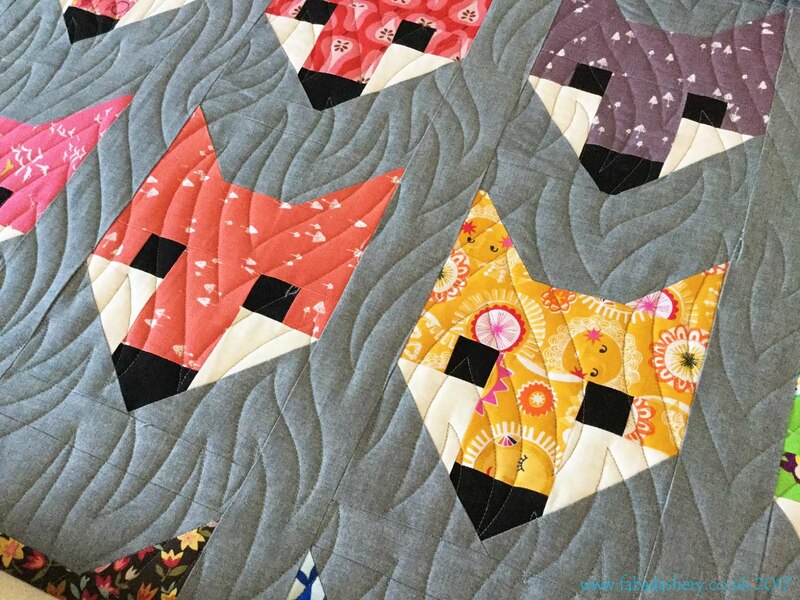 See especially how she has cleverly used the Kaffe Sunburst print for her border. 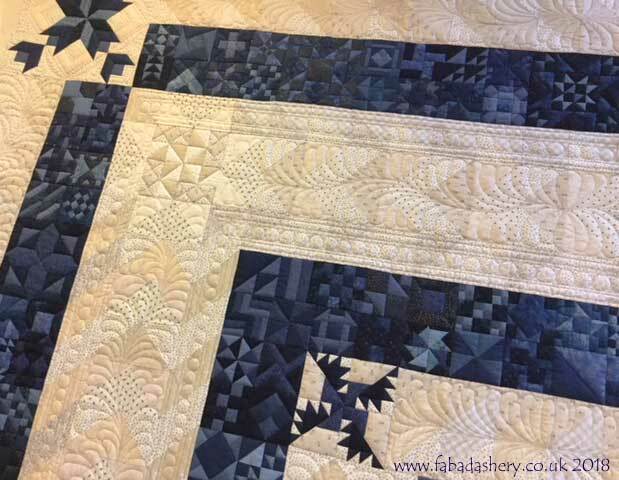 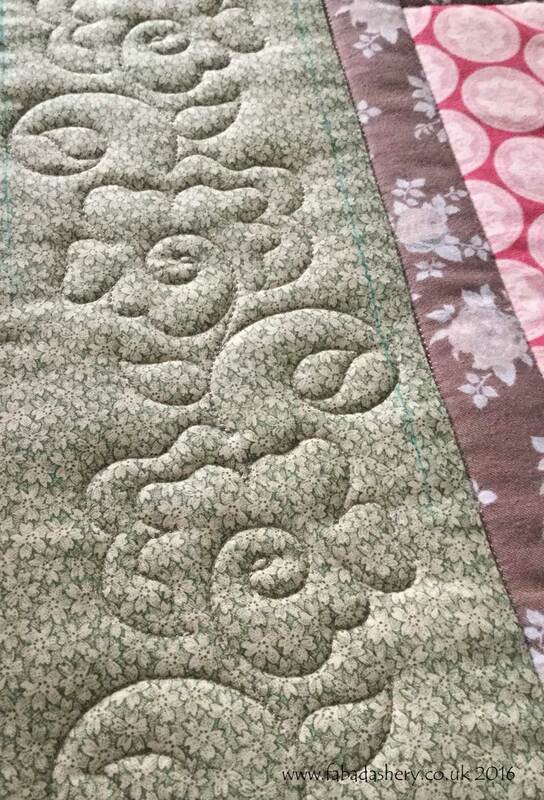 For this quilt we chose a traditional Baptist Fan digital quilting pattern and to help speed up the finish, I also sewed on the binding as part of the Fabadashery longarm quilting service. 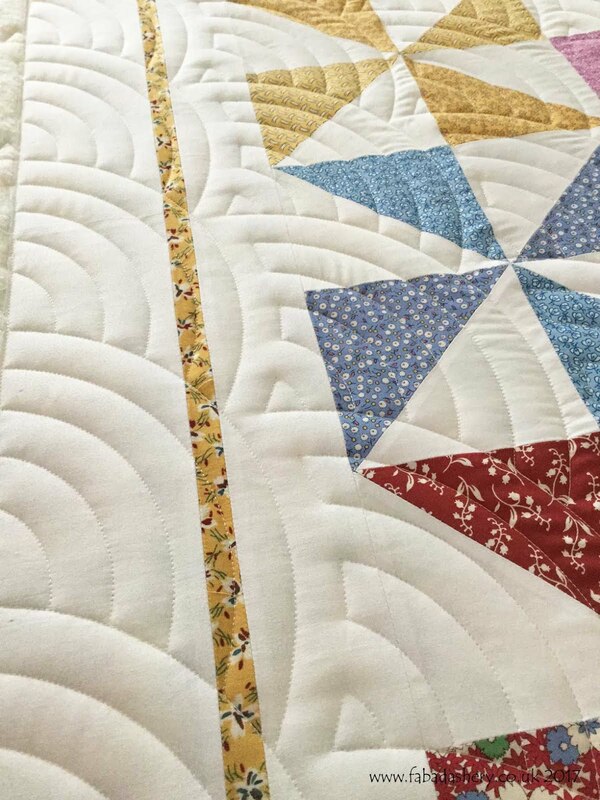 With the sun coming in, the texture of the Baptist Fan quilting really shows up well.